If you want to rejuvenate your skin, check out these new products from Dermae for fall! I love the changing seasons. And, fall is one of my favorite times of the year. I love the crisp air and the way the leaves smell when they fall from the trees. I’m inspired to wear my warm sweaters and fuzzy socks when I go for my walk in the morning. I received product for this post. This post contains affiliate links, and I will receive compensation if you make a purchase after clicking on my links. The Rejuvenating Sage & Lavender Face Oil provides a concentrated boost of intense hydration for soft, smooth skin. Powerful anti-aging antioxidants and essential fatty acids work to improve elasticity, support healthy collagen, promote healthy cell renewal and reduce the appearance of fine lines and wrinkles for a healthy, youthful glow. Find more information. This lightweight, radiance-boosting moisturizer supports collagen health, helping to improve the appearance of uneven skin tone, fine lines, and wrinkles. Probiotics and Rooibos work harmoniously with nonoxidizing Vitamin C to help shield and strengthen your skin’s natural defenses for a smoother, firmer and more revitalized appearance. Find more information here. 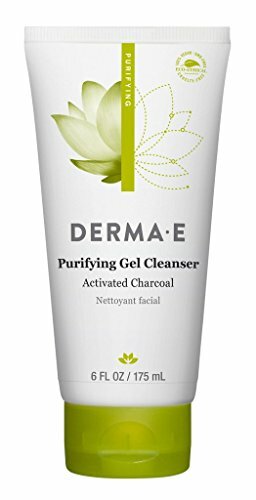 I really love that Dermae products are eco-ethical. I don’t need to worry about GMOs, soy or gluten in the products I get from them. Plus, they are cruelty-free and recyclable when possible. I’m really impressed with their standards and the quality of the products I’ve received from them. If you need new skin care products, you’ll find a wide range of creams, lotions, and oils on their site for every skin concern from sensitive skin to anti-aging. I’d like to try the vit c renewing moisturizer on my super dry skin! The Sage & Lavender Oil sounds like a product I’d love. I’ve used this brand and also like their wide range of offerings. My skin just soaks up the oil these days so they really work for me. It’s definitely one of my favorite brands! I am always looking for new products to try that will rejuvenate my skin. I just turned 50 this year and want my skin to stay looking young. Thank you for sharing these products! I would really like to try the Vitamin C Renewing Moisturizer. It’s definitely a challenge as we age!